One of the strengths of the Chamber is through supporting other local businesses. What would happen if you could do one simple thing to dramatically grow someone else’s business in the Chamber for free, and take less than 5 minutes to do it? It isn’t networking, buying their service or passing on a referral, but something so simple that you will wonder, “Why on earth didn’t I do this earlier for all the small business owners that I know”. 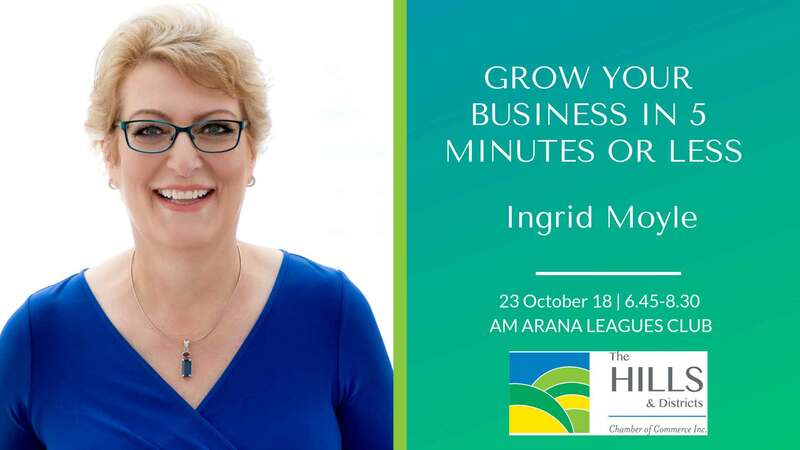 In this super practical session, Ingrid will show you how to High Five someone else’s business and leave a lasting positive impact.